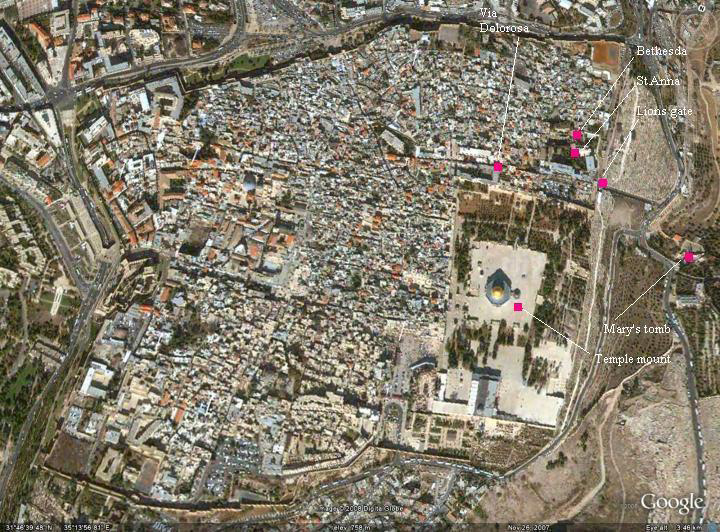 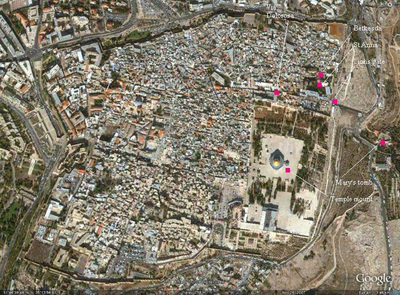 Bethany-beyond-the-Jordan (Qasr el-Yahud.) Here, at the Jordan River -- Renewal of Baptismal Vows 2015. 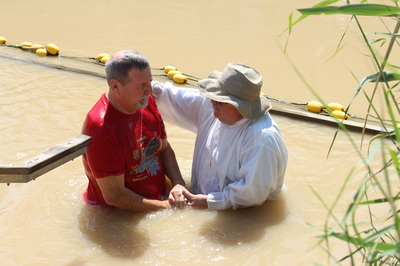 At the Jordan River we have the opportunity to renew our Baptismal promises and recommit ourselves to follow Jesus. 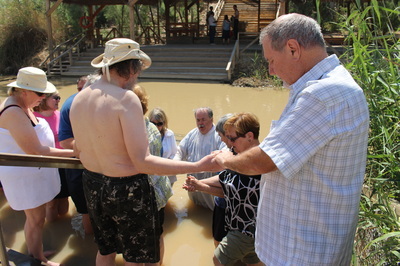 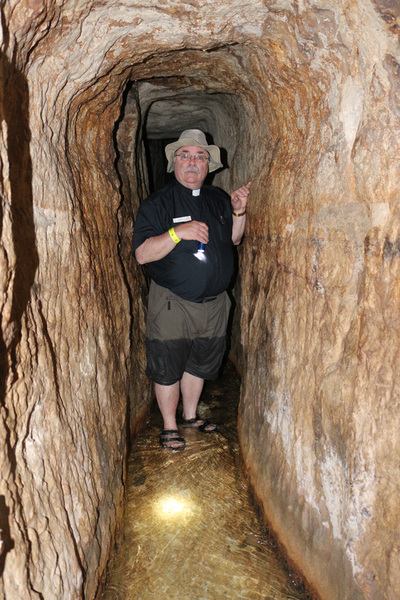 Deep memories are made here where John the Baptist baptized our Lord. 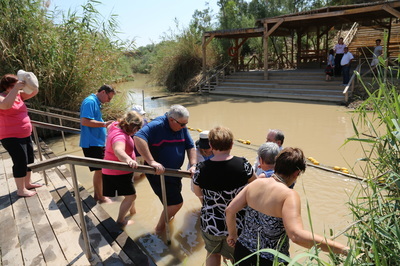 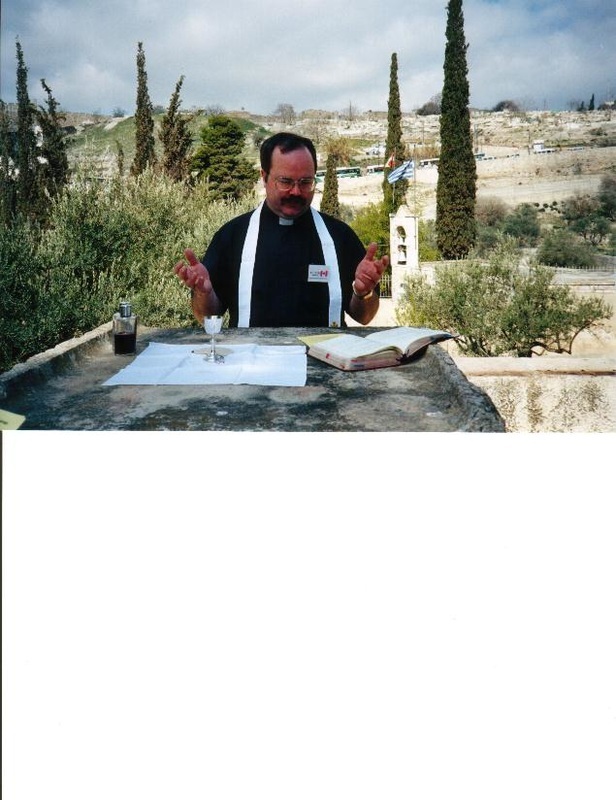 The river Jordan is the border -- the Kingdom of Jordan on the other side. Some of us end up standing in the Jordan for our recommitment. 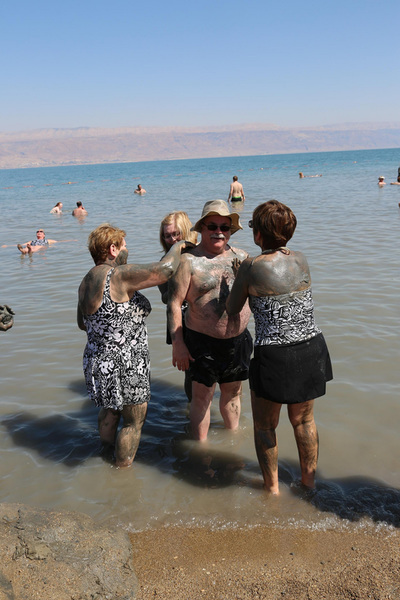 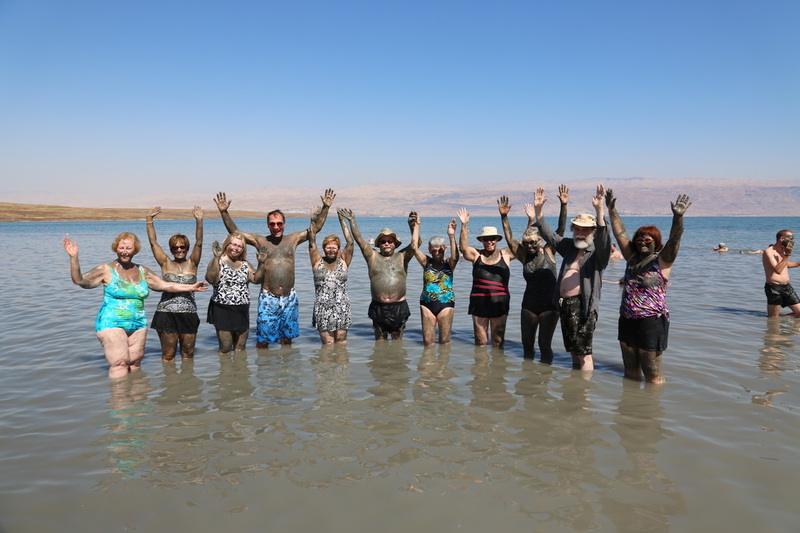 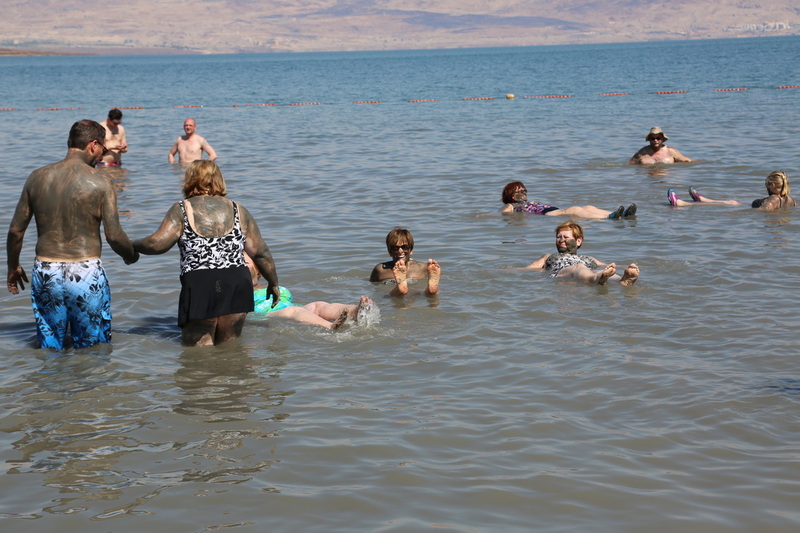 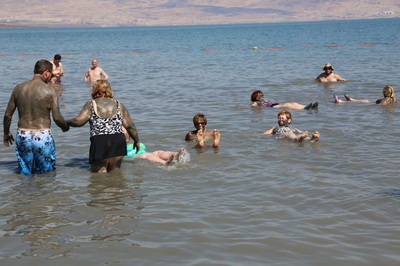 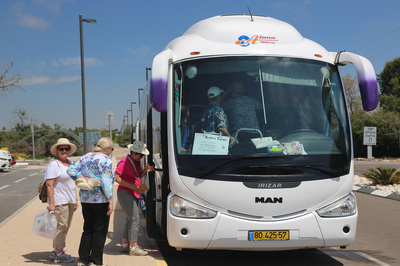 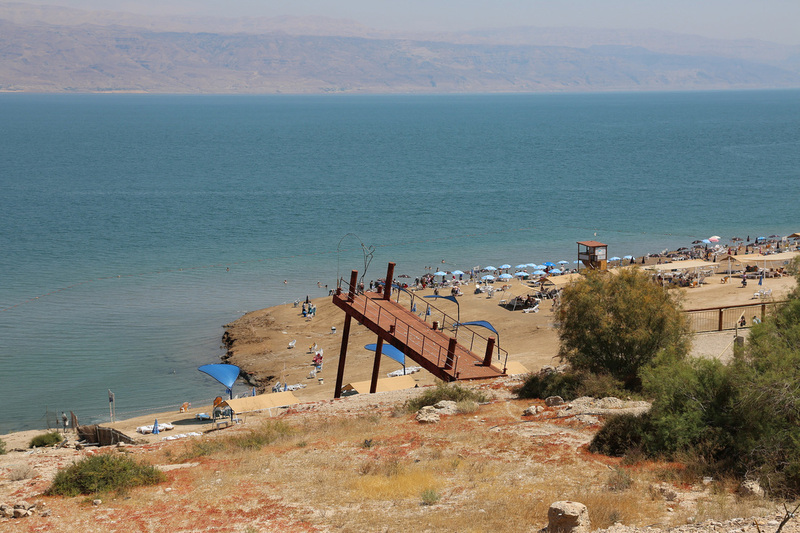 A visit to The Dead Sea - near Ein Gedi. 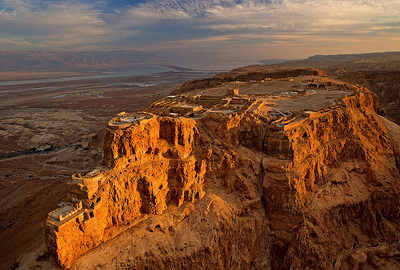 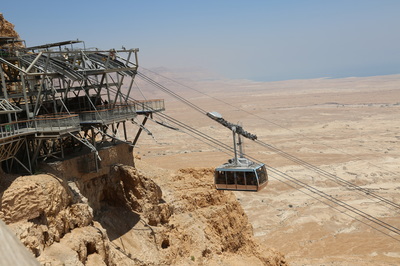 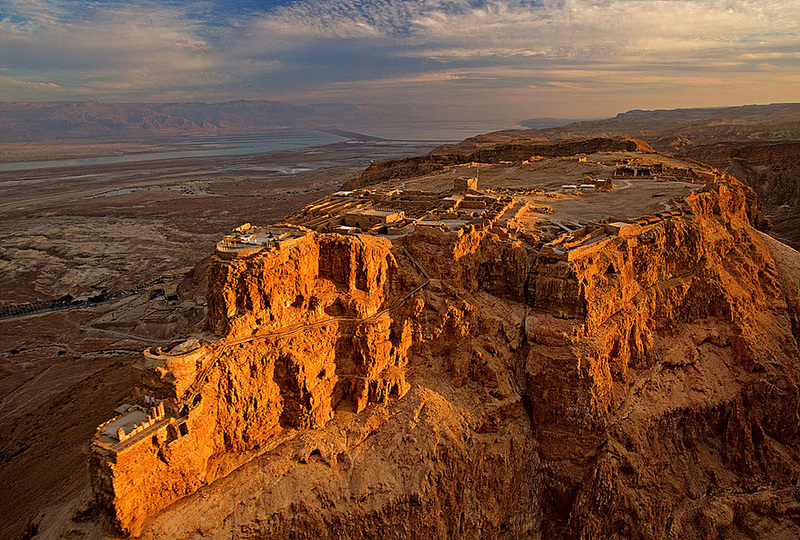 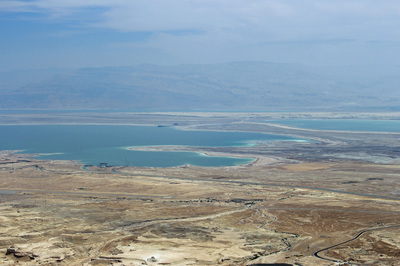 429m (1427') below Sea Level, the Dead Sea is the lowest point on earth. 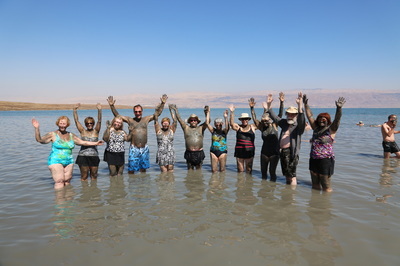 Some of our group went for a float and some fun with the mud. 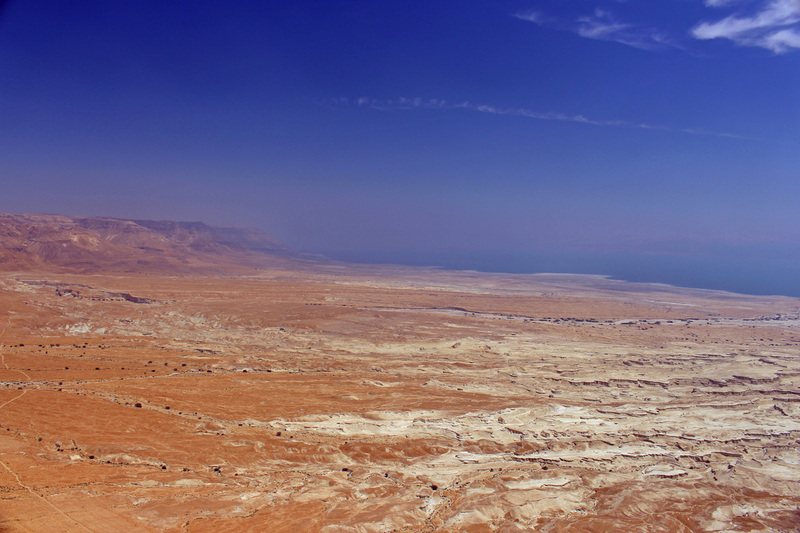 The salinity of the Dead Sea is about 10 x greater than the ocean. 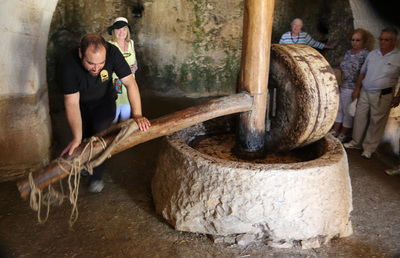 People float like corks! 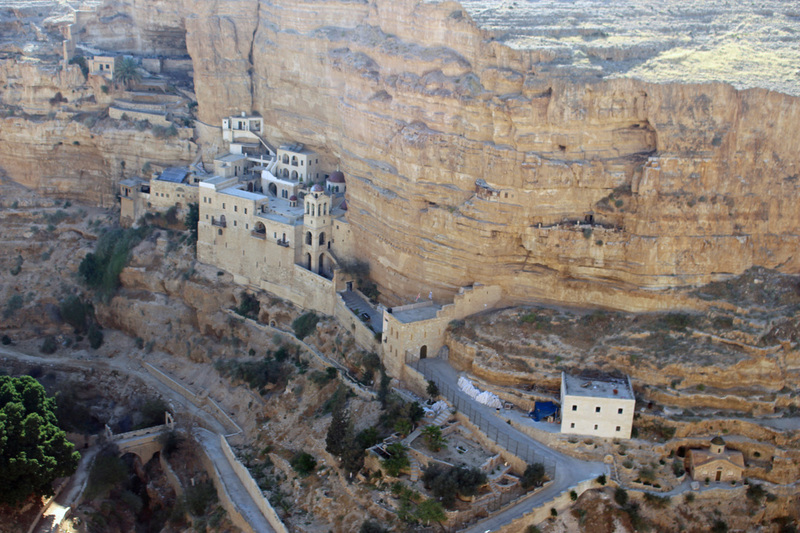 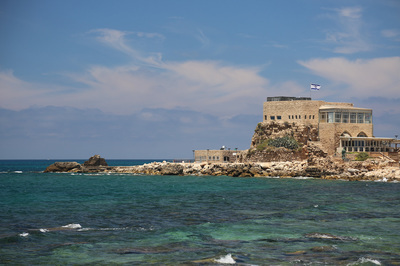 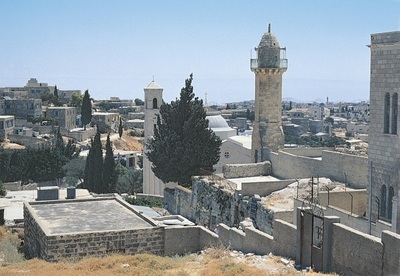 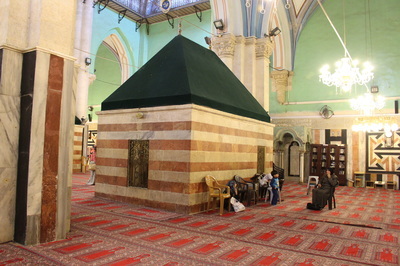 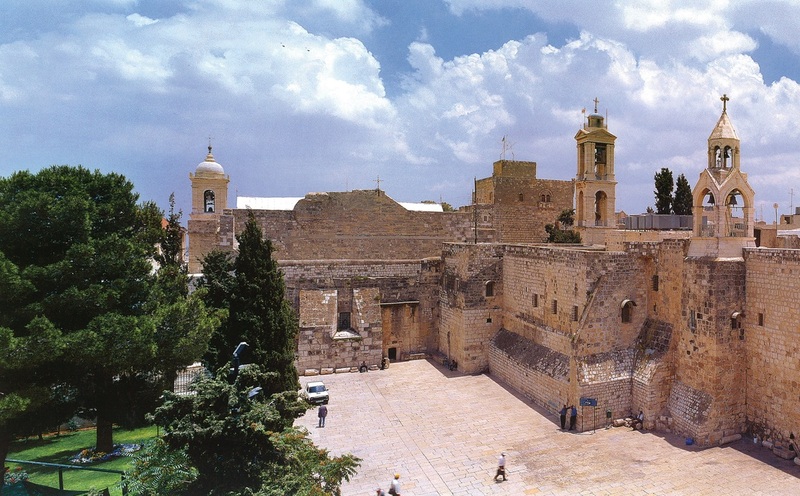 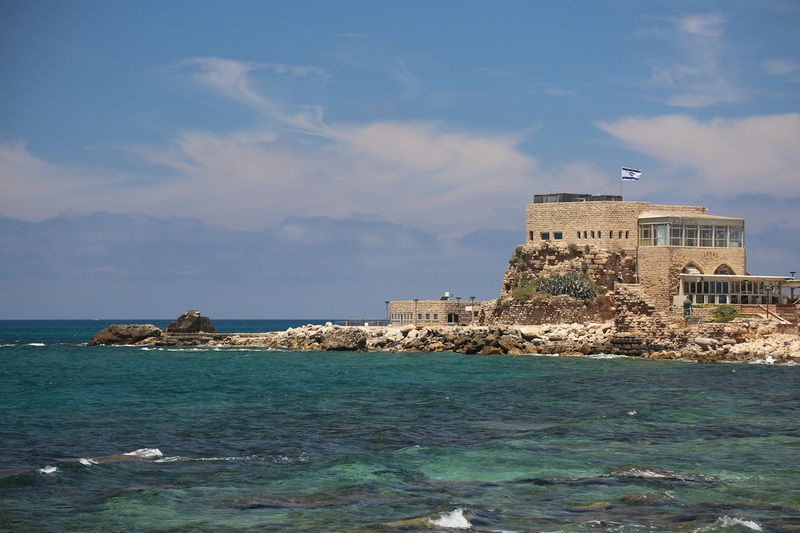 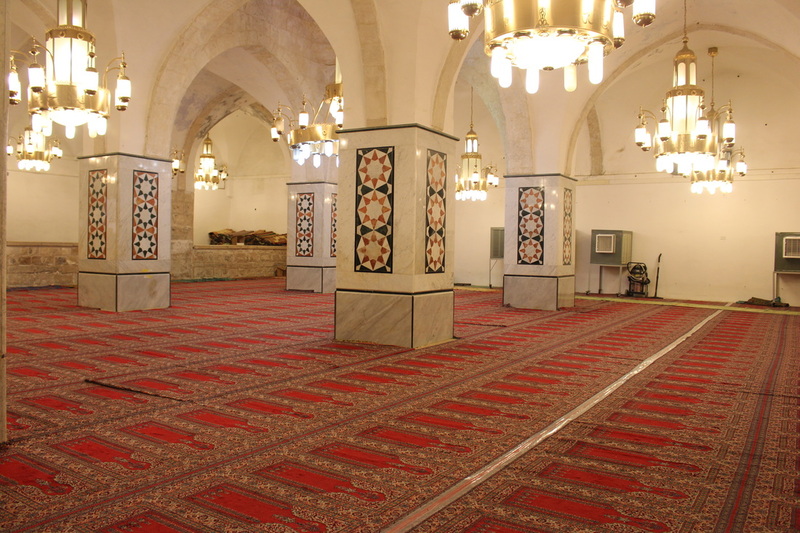 The City of Hebron located in the Judean Mountains of the southern West Bank is home to the Cave of the Patriarchs. 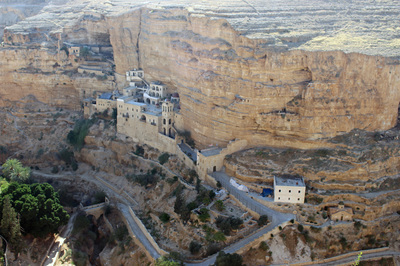 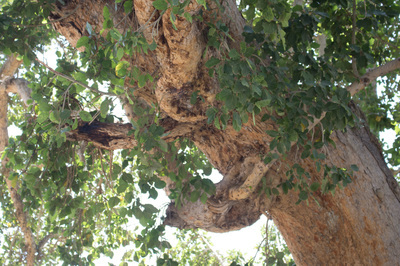 Monstery of St. George of Koziba (St. George's Monastery) in the Wadi Qelt. 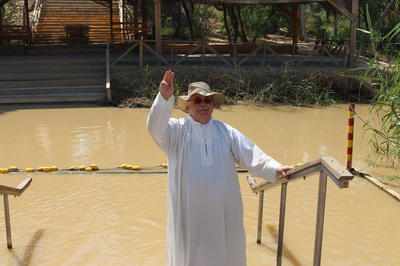 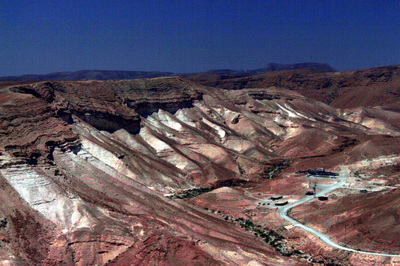 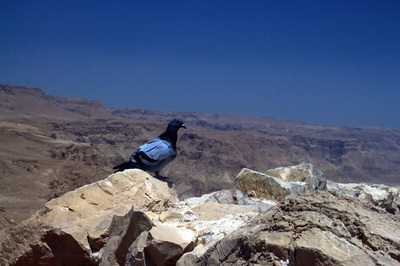 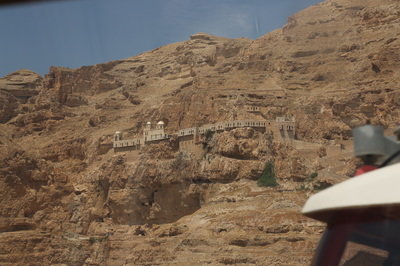 The wadi runs west to east from near Jerusalem to Jericho. 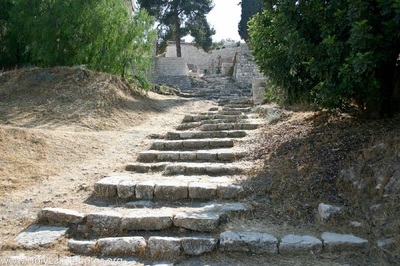 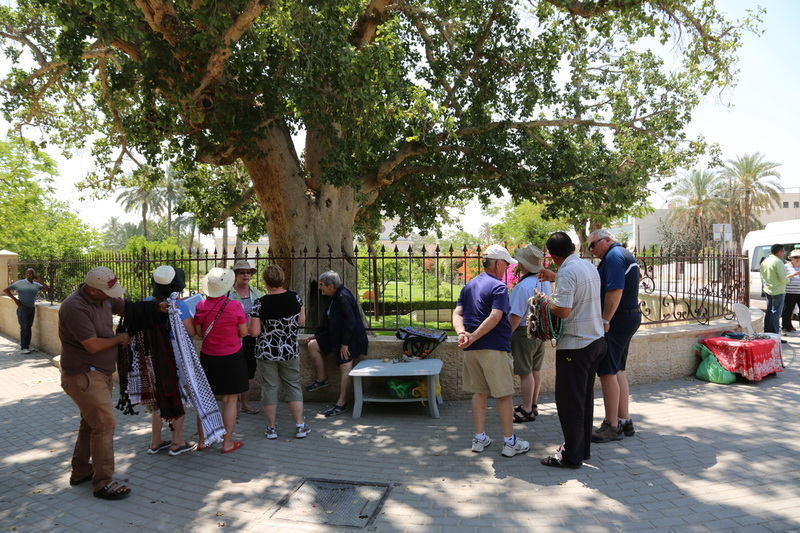 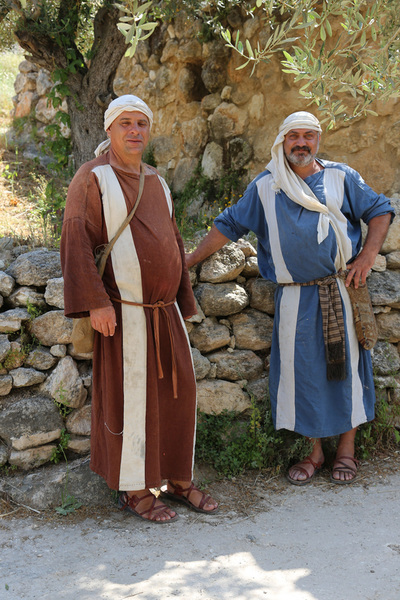 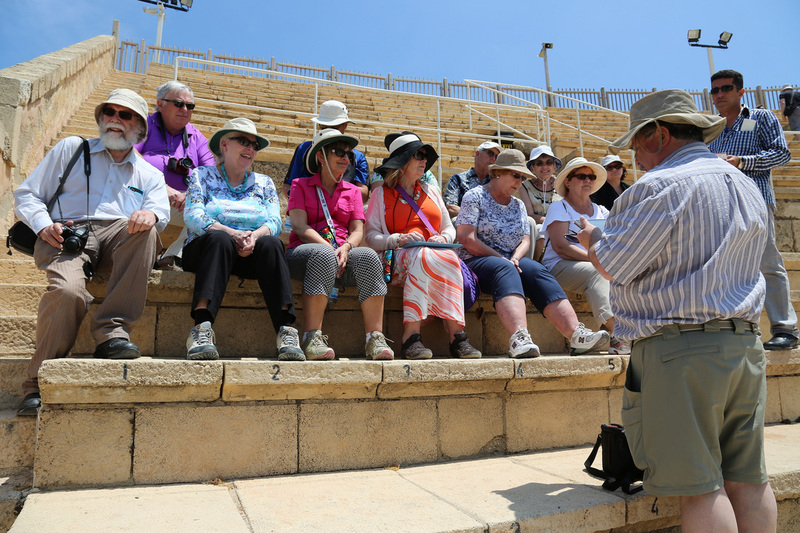 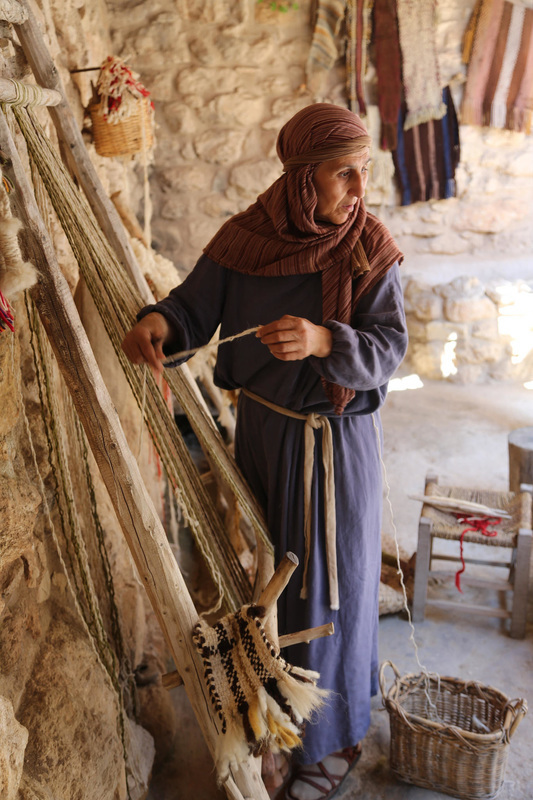 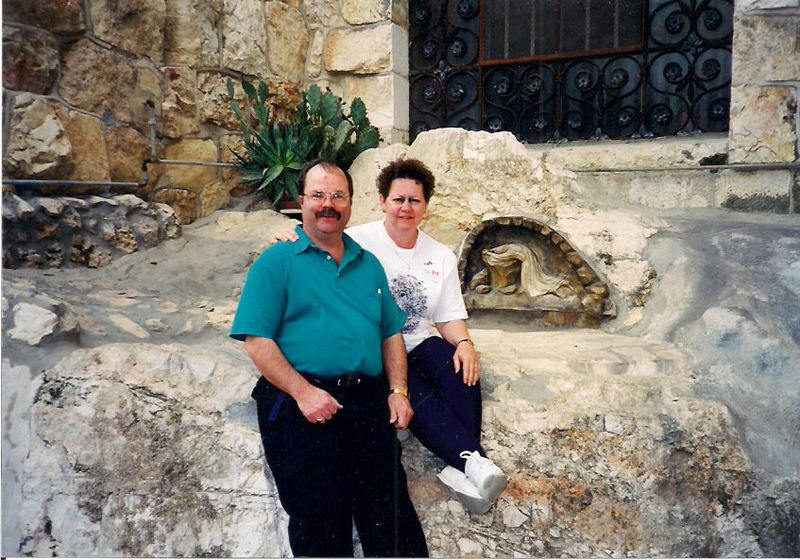 The path from Jerusalem to Jericho -- is the setting of Jesus parable of the Good Samaritan. 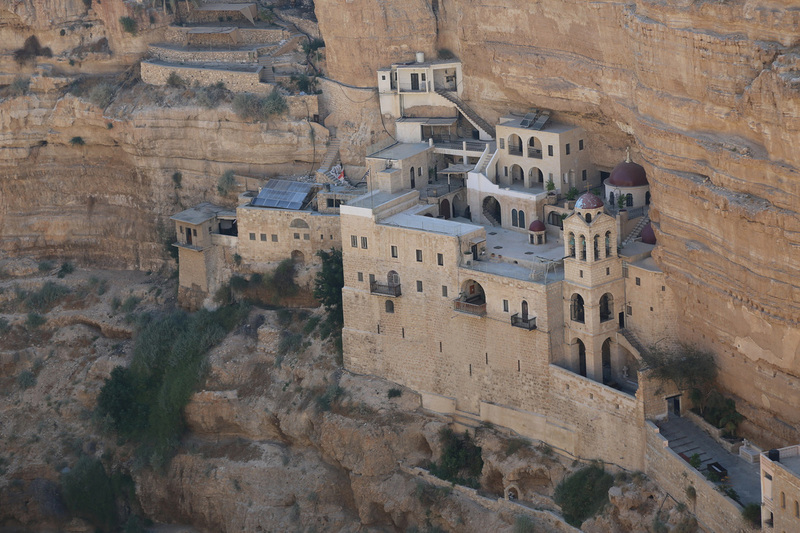 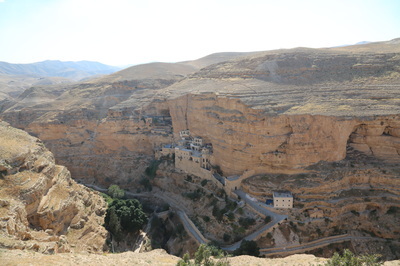 Famous for its hospitality, this monastery has been welcoming pilgrims since the 5th C.
The village has grown around the site of Lazarus's briefly used tomb. The Church is surrounded by a lovely garden. 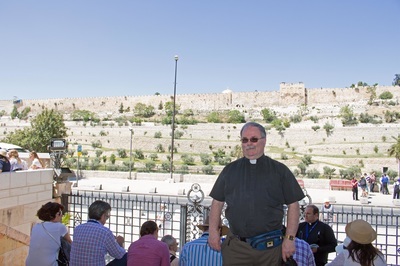 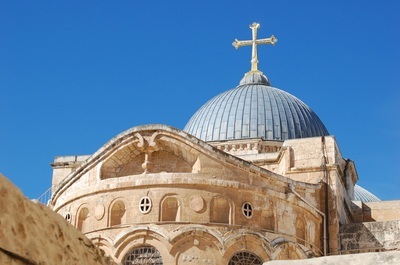 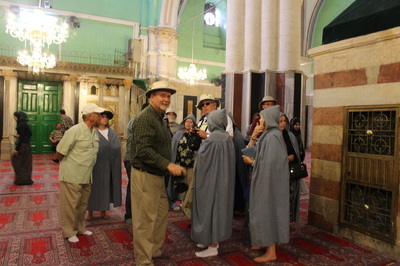 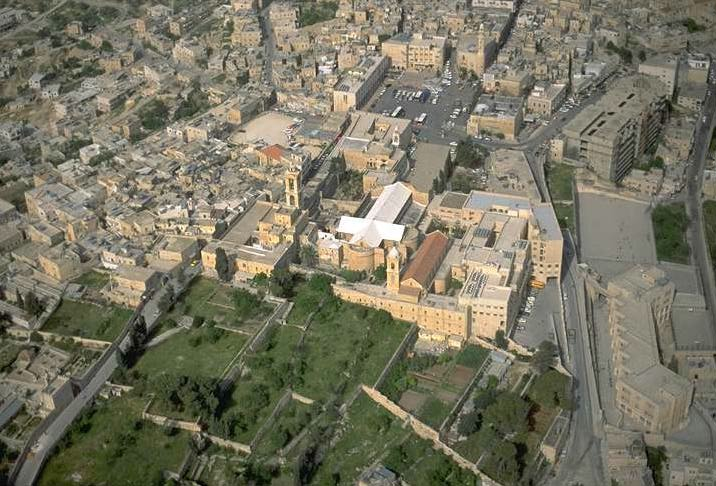 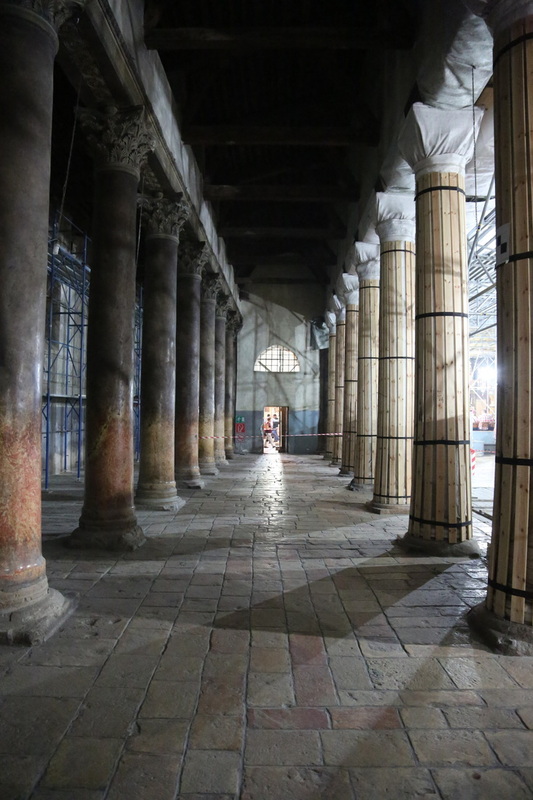 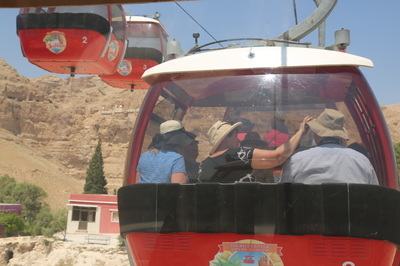 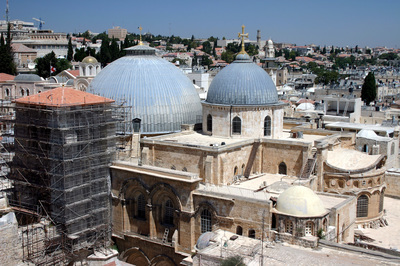 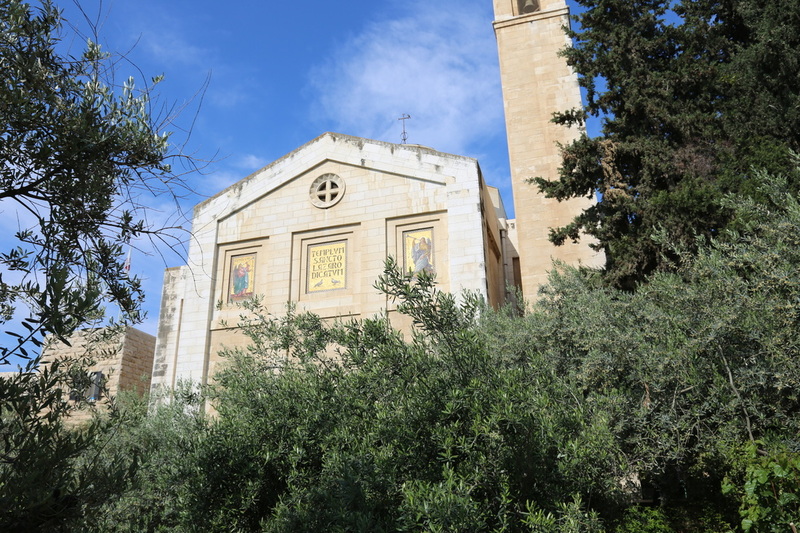 Jerusalem: here are a few pictures as overview of the Holy City. 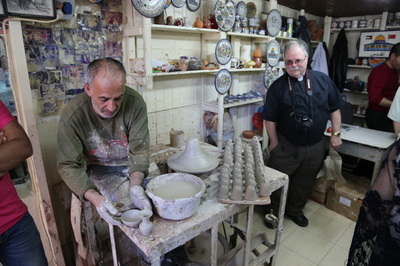 I hope to return to this task and include many more photos. 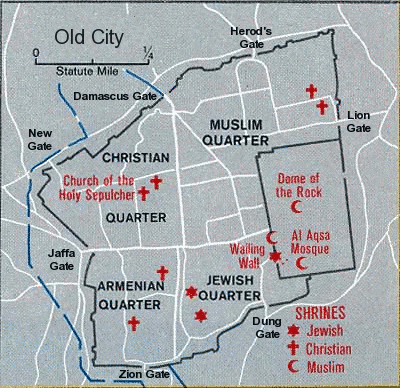 The Old City of Jerusalem is comprised of four "Quarters." 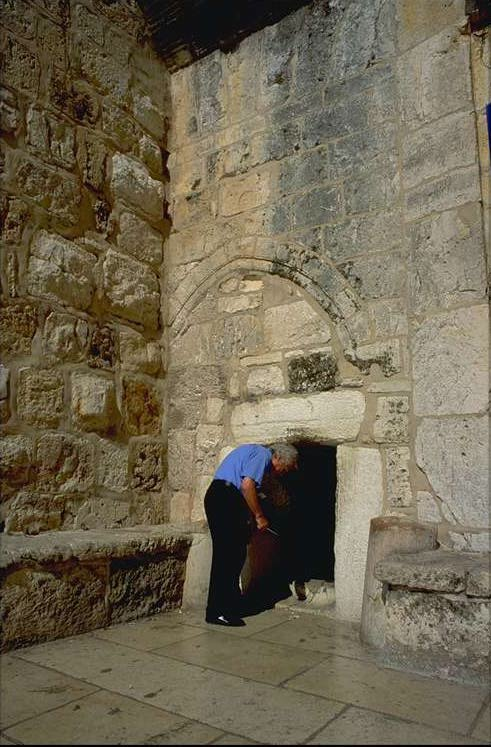 Sites of importance to Christians are in all quarters. 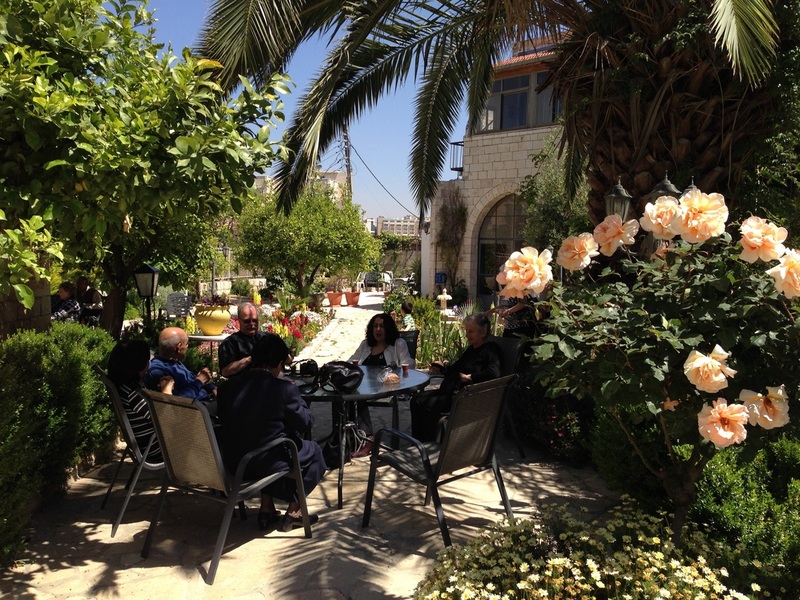 The guesthouse of St. George's Cathedral has a beautiful garden. 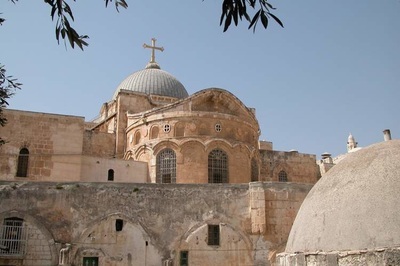 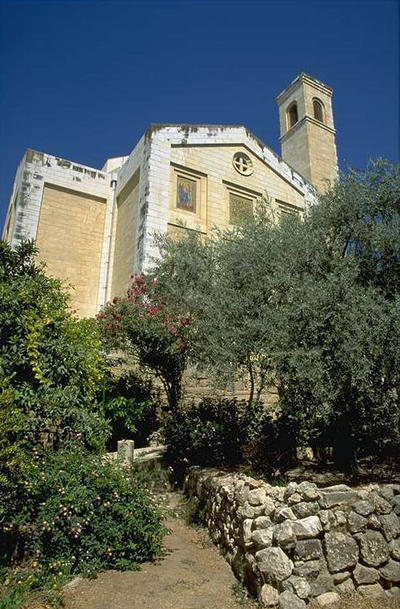 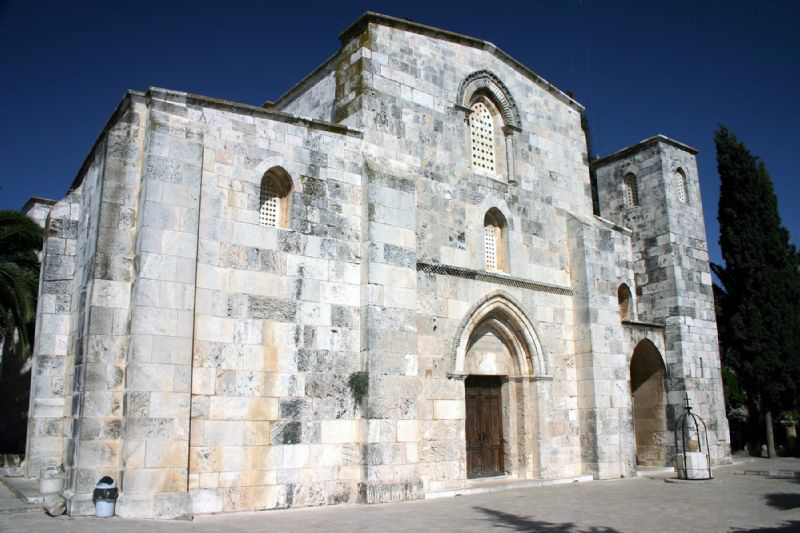 St. Anne's Church is a very well preserved crusader period stone church in the Muslim Quarter. 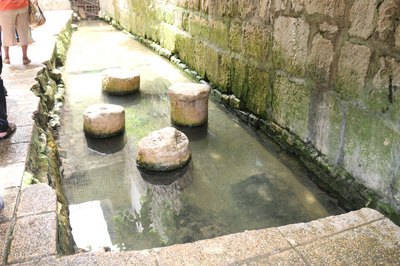 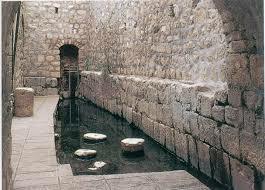 The Pool of Bethesda beside St. Anne's Church. 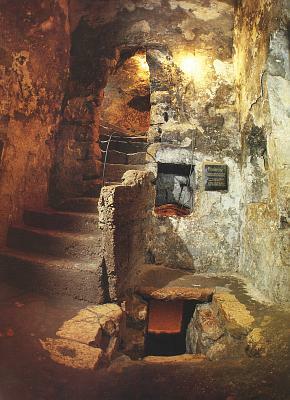 Inside the Aedicule. 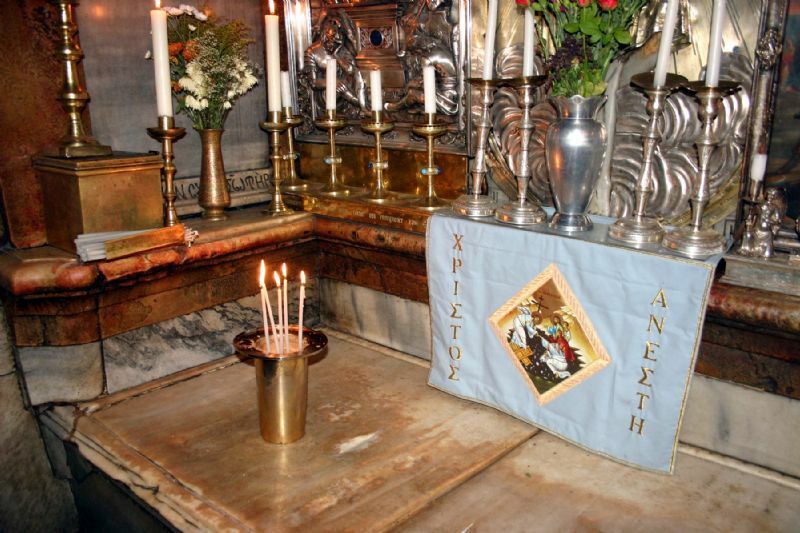 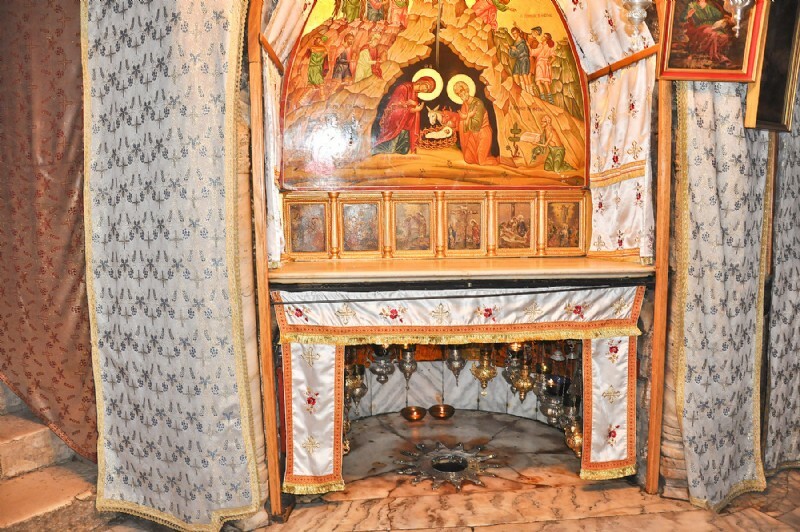 Interior of the briefly used tomb of Jesus. 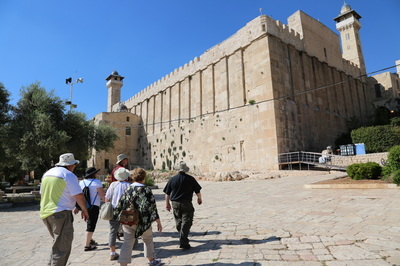 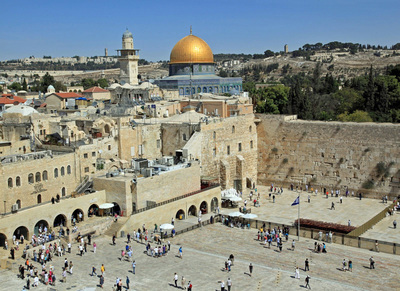 The Western Wall with the Dome of the Rock in the background. 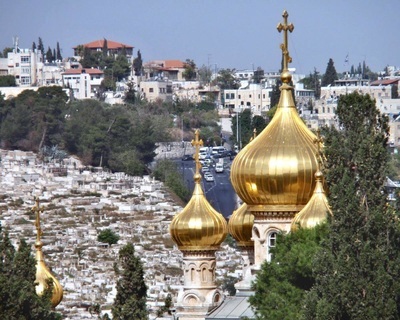 The Russian Church dominates the foreground in this view of the City from the Mount of Olives. 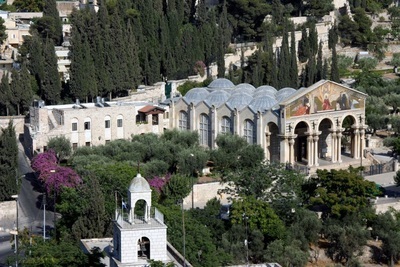 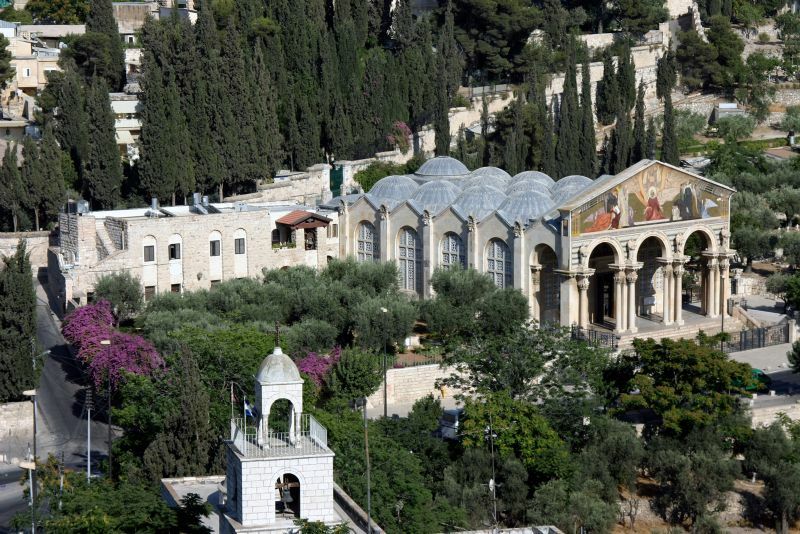 Church of All Nations in the Garden of Gethsemane. 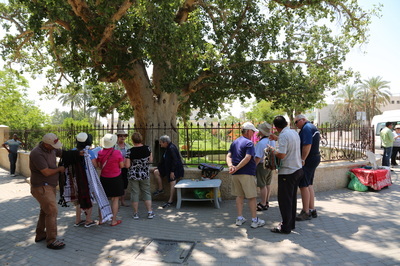 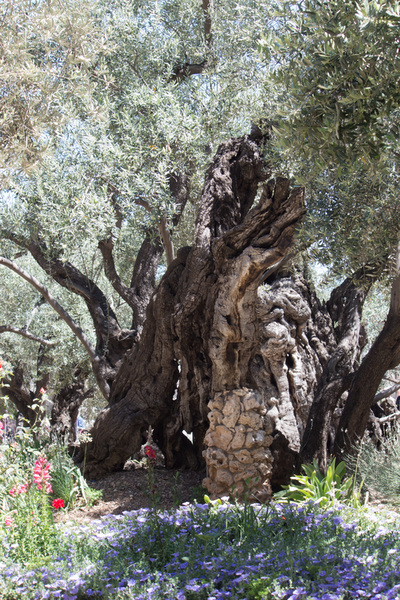 In the Garden of Gethsemane are ancient Olive Trees. 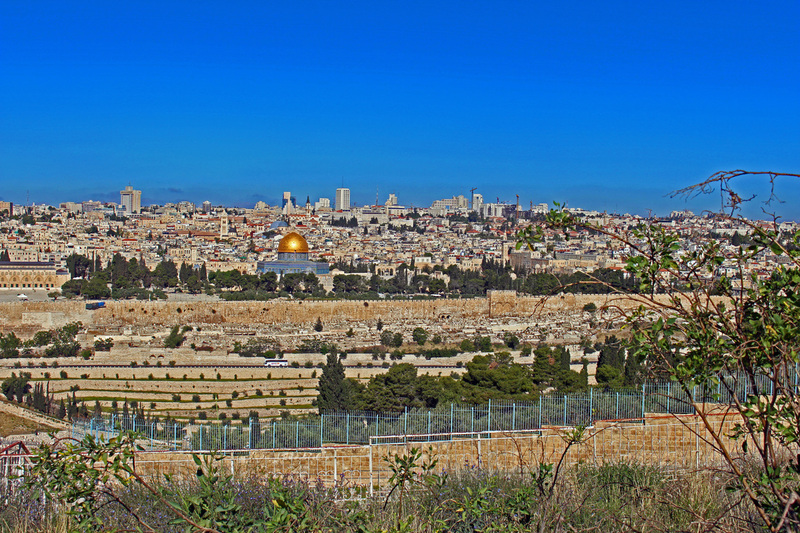 View from the Church of All Nations (Gethsemane) of the Kidron Valley leading up to the Golden Gate and the Temple mount beyond. 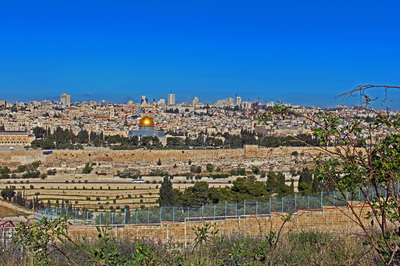 A panorama view from half-way down the Mount of Olives. 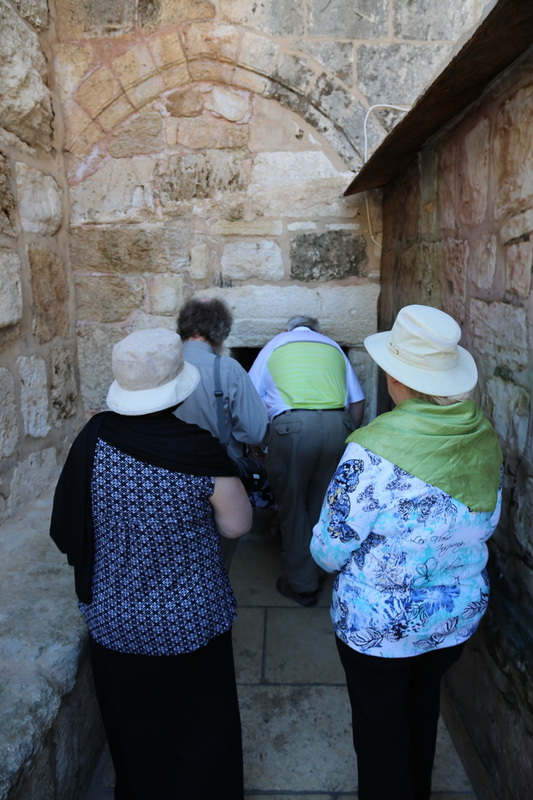 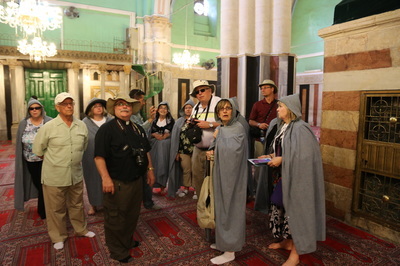 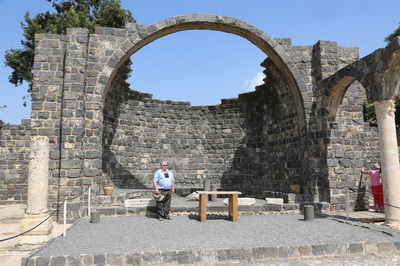 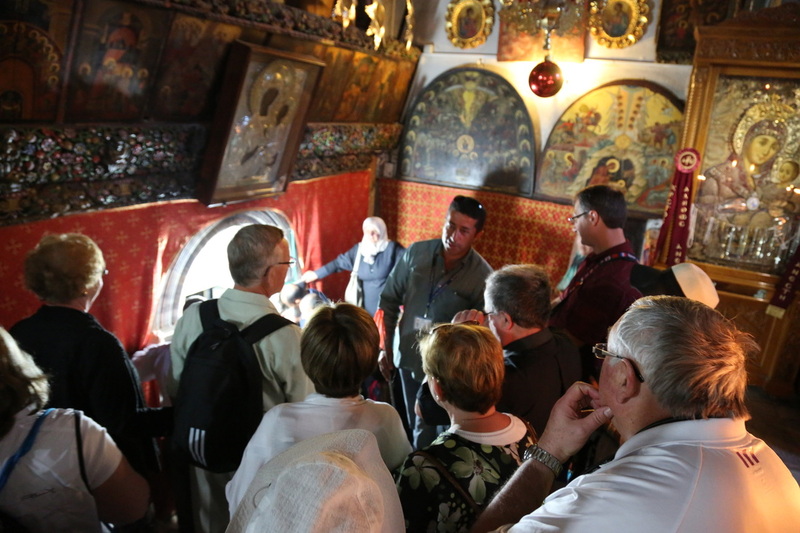 The Cenacle or Upper Room -- Where the Holy Spirit came upon the the disciples as they waited and prayed. 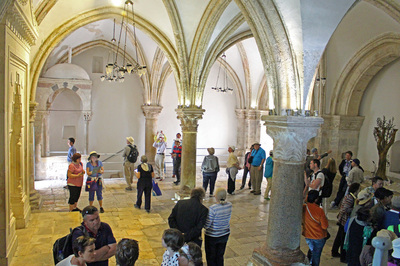 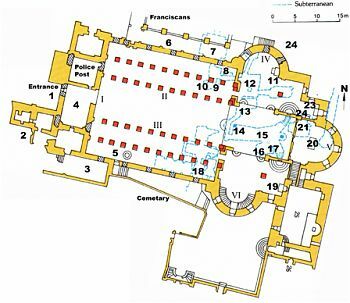 In the Cenacle or Upper Room. 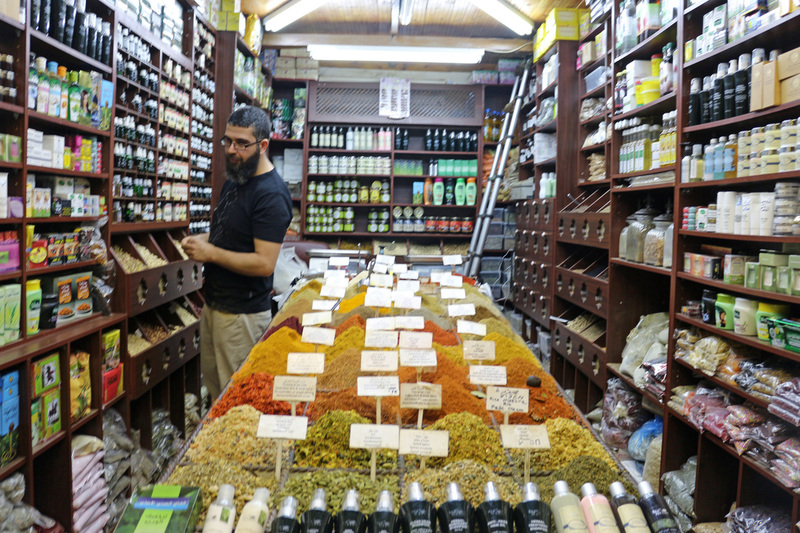 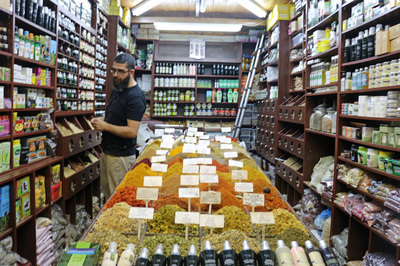 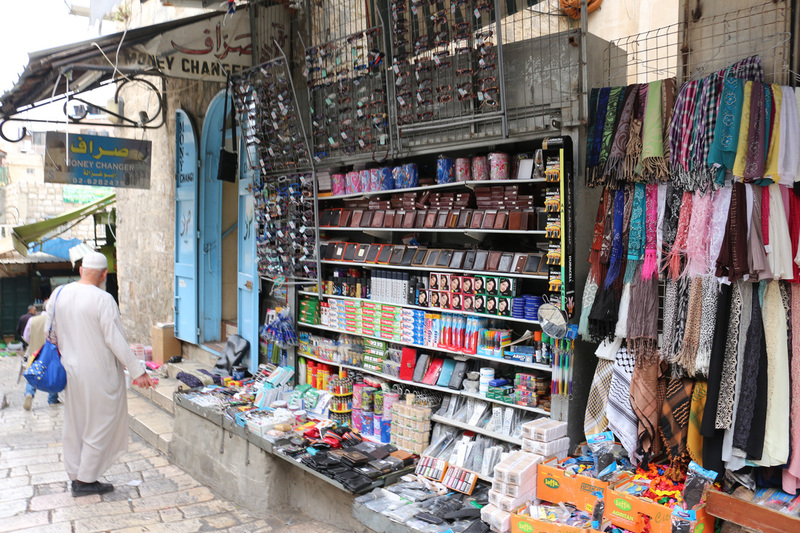 The souks of the Old City are really amazing - filled with sights and fragrances. 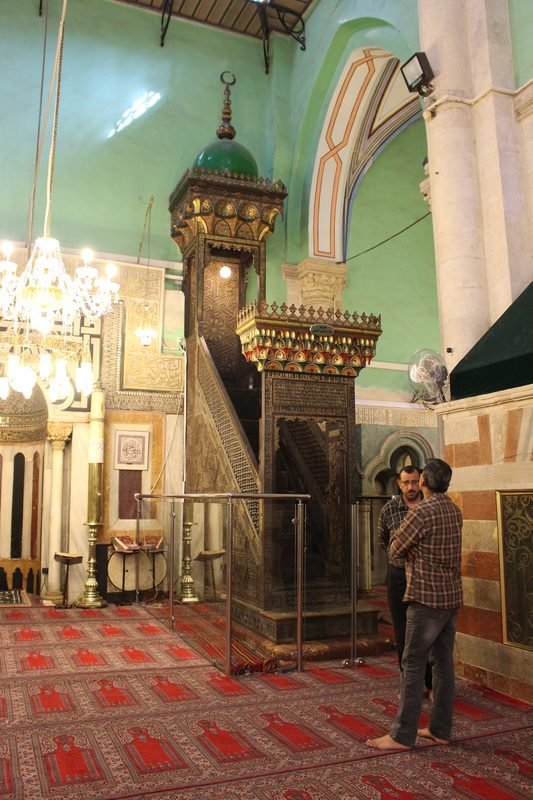 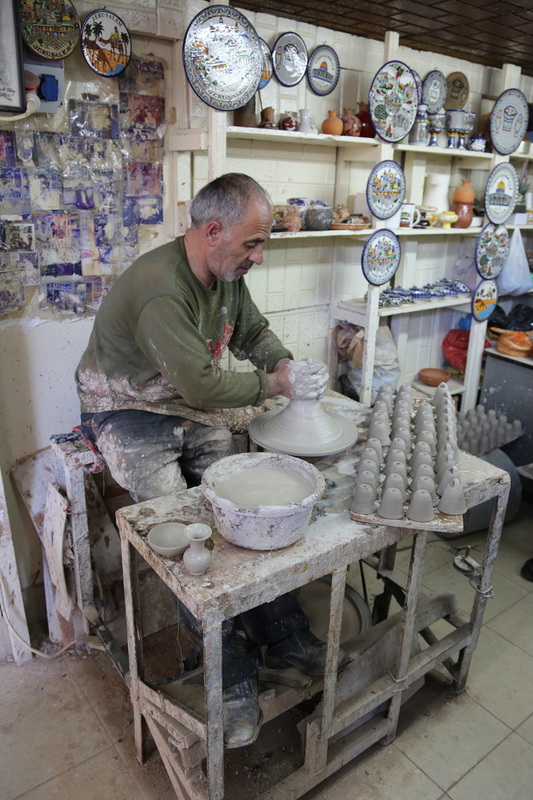 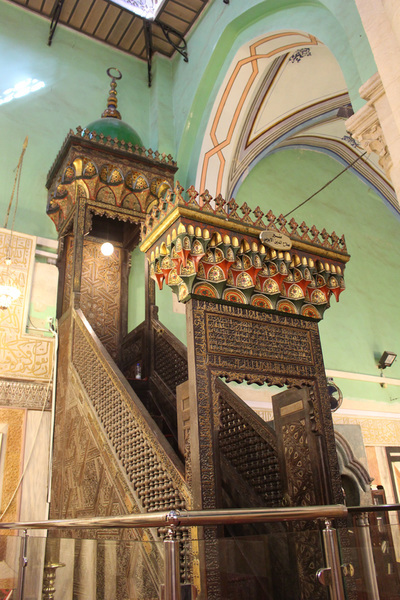 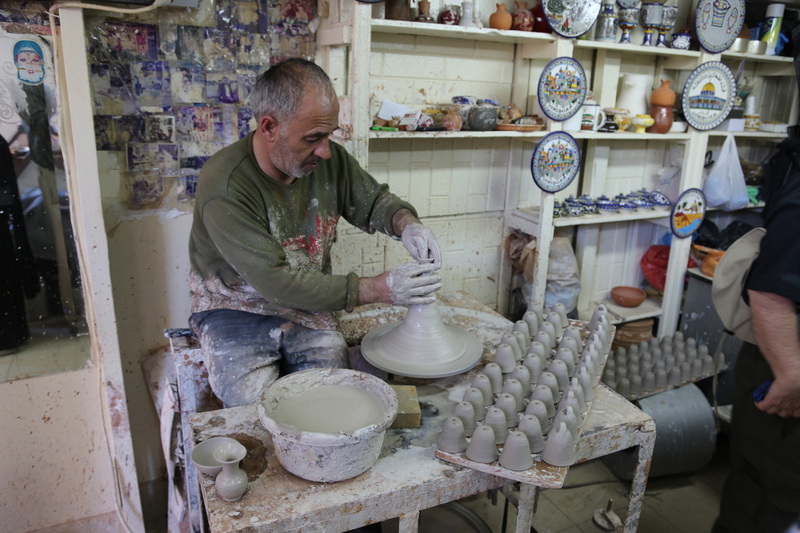 Although at first bewildering, the Old City is a cultural adventure. 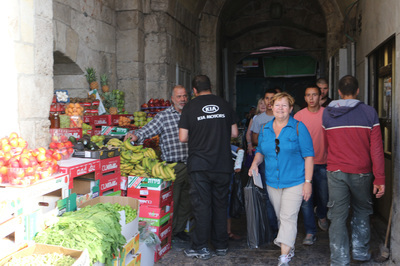 Here Carole is seen passing through the Damascus Gate. 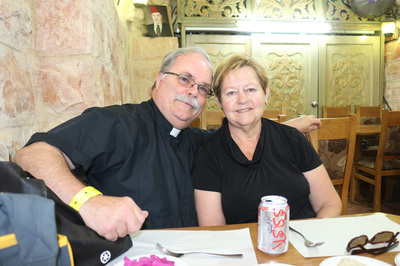 A quick lunch in the Armenian Quarter. 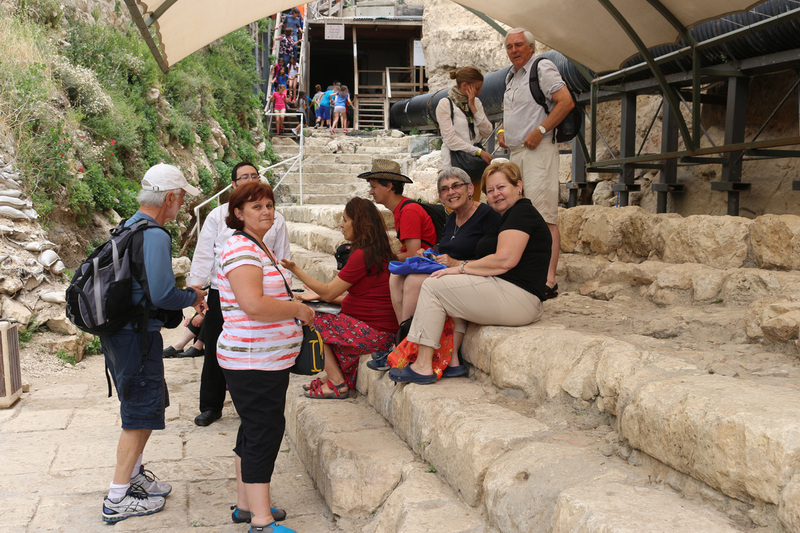 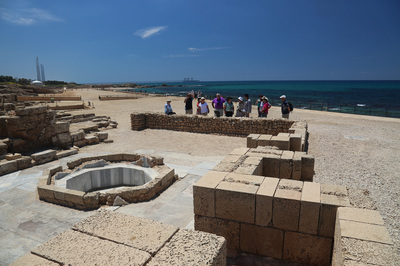 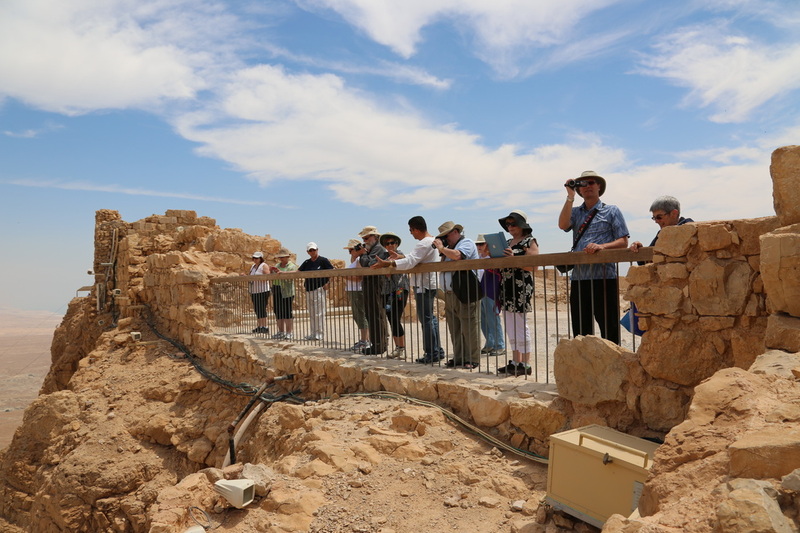 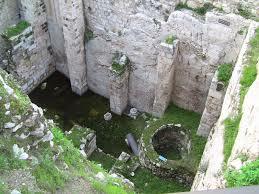 Newly excavated site of the Pool of Siloam. The Temple Mount. 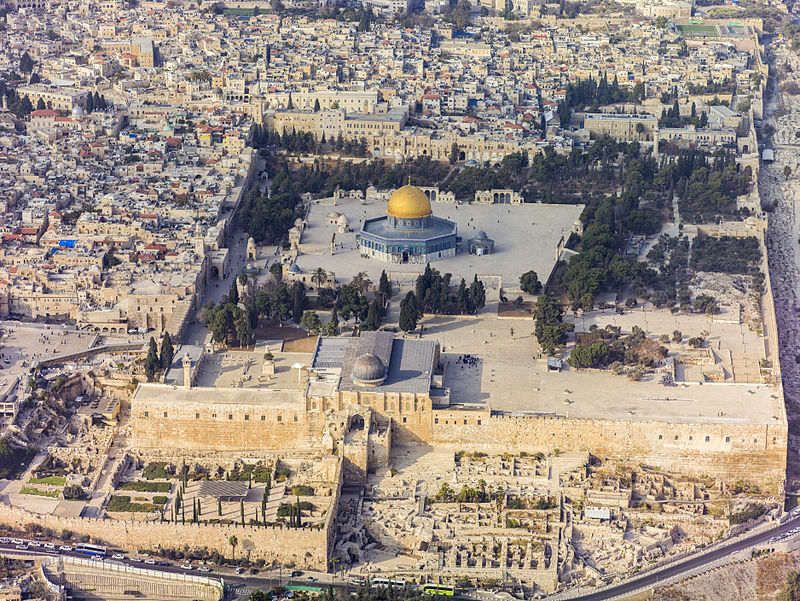 At top centre is the Dome of the Rock . Lower centre is the El-Aksa Mosque. 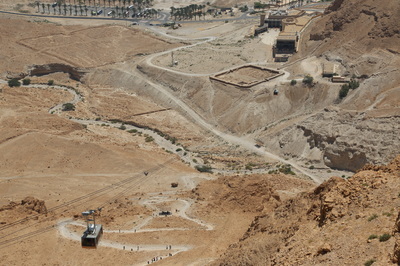 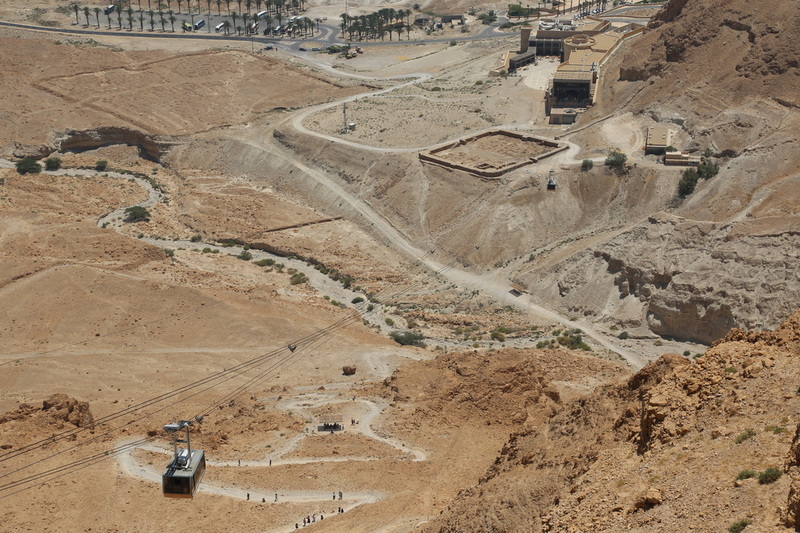 In the foreground are excavations underway around the ancient double and triple gates to the Temple Mount.